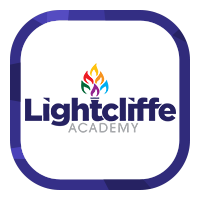 Key Stage 5 SubjectsKey Stage 5 Subject BookletApplication FormSixth Form AdmissionsSixth Form HandbookBursary Application FormPost Sixth FormPost 16 ProspectusWhy Choose Lightcliffe? Term 1 - Self-identity, a tonal self-portrait drawing. Introduction to the work of Hundertwasser, working with wax resist and ink. Term 2 - Landscape and the local environment. This topic explores the landscape work of a range of artists, which may include Peter Brook, Ton Schulton and other selected artists. Term 3 - Students in term 3 are working on the theme of The Underworld. This topic may explore different cultural ideas about the underworld, specifically Greek mythology, the Medieval world and Celtic culture. The materials students explore may include; pencil, chalk pastels, printing, textiles, collage and clay. Students will develop skills working in shade, tone, contrast and texture in pencil work. Students will be developing responses in a range of media from their own drawn studies. Term 1 - Students will be looking at different aspects of the decorative arts, exploring such themes as Art Nouveau, Art Deco, the Arts and crafts movement, and selected individual artists. Term 2 - Students will study a range of narrative art styles during the second term. These may include Pop Art, Graphic novels. The work of various illustrators and cultural traditions which explore story telling. Students will have the opportunity to work with a variety 2D and 3D media to enable them to expand on the skills they acquired last year. Term 3 - Students will be looking at the theme of Abstraction in Art. Students will have the opportunity to work with a variety 2D and 3D media to enable them to expand on the skills they acquired last year. Observational work may include work linked to the Pop Art movement, including sculptural techniques in clay and mixed media. 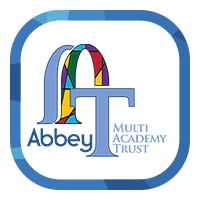 Pupils will be Assessment of work is ongoing throughout the term, and at the end of the project. There are no further resources for this subject. Spaces and Places, this is an extended project which has a range of developmental outcomes. The built environment, Theatre and Film, Identity and Disguise. Dia Di Los Muertos festival, Seed Pods and Natural Forms, Still-Life, Portraiture. The coursework portfolio and externally set assignment are internally marked in May, and externally moderated in June. Assessment of work is ongoing throughout the term. Students will have an assessment booklet in the front of their sketchbooks where we comment on their response to the 4 assessment objectives, and indicate areas for development. We use the assessment booklets rather than writing in the student’s actual sketchbooks, as this gives them the opportunity to add into and develop work whilst maintaining the quality of presentation of the planning work. An overall Grade is given at the end of the project.